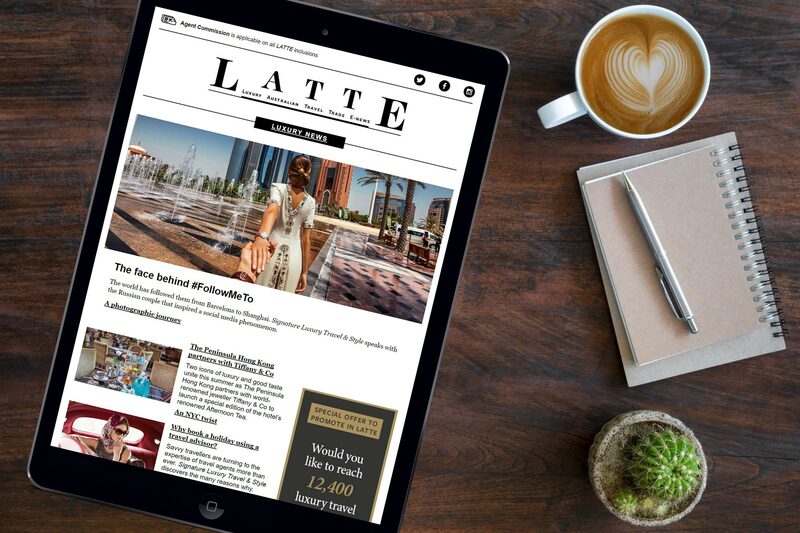 This week, LATTE chats exclusively with Brett Dudley about his luxury brand, Latitude 33, which will mark its third anniversary this year. Dudley is the founder and managing director of the Ecruising group of companies, established in 2000. By 2005, Ecruising had a portfolio of luxury cruise and land tours to some of the most remote destinations and major sporting events around the world. The itineraries outgrew the ecruising.travel brand, and a new luxury brand, Latitude 33, was born, dedicated to providing immersive experiences and effortless travel. The name Latitude 33 is inspired by Brett’s three favourite cities – Sydney, Cape Town and Santiago – all of which share the latitude 33 degrees south. Latitude 33 is dedicated to providing travel experiences reminiscent of a time when all holiday travel was a luxury – an era when speed and price weren’t the key features, but rather, time and elegance. Latitude 33 aims to recreate the golden era of travel, with all the modern comforts for the discerning traveller. Brett, Latitude 33 Travel marks its third anniversary in a few weeks. What are some of the biggest achievements for the brand over that time? Having repeat clients is a great achievement for us. Even though we’re a relatively unknown company, our clients have confidence in our company and services, and repeatedly book with us. For luxury travel advisors who may not already be aware of the brand, what are the primary differences between Latitude 33 and your Ecruising business/parent company? No comparison: Latitude 33 is unique, bespoke tours that include only the best accommodation available and are all-inclusive. Are all itineraries a combination of land and cruise components, or do you offer other options? We also offer land-only tours. In 2018 we did a golf tour to Augusta and a 10-day tour that incorporated one week at Royal Ascot. Since Latitude 33’s launch in 2016, how many trips have operated? On average we do seven a year. Are your clients primarily Australian, or do you have an international market as well? We also have clients from New Zealand, although we just took a booking for a Canadian couple. Latitude 33 itineraries operate at a more casual pace, providing longer stays at some of the most luxurious resorts, retreats and accommodations in far-flung destinations. Why is that? Rushing around and moving from city to city every day is not a holiday. People on our tours can immerse themselves in the destination. What size are the groups that Latitude 33 operate? And are they lead by Latitude 33 representatives and/or yourself? Between 20–26, depending on destination. They’re lead by professional tour hosts. I partake in one or two a year, and these are called ‘Directors Selection’. Does Latitude 33 have a high repeat-clientele rate? How involved are you with the development of Latitude 33’s itineraries and programs? Which past, or upcoming, itinerary are you really excited about? Gorillas in March and our Papua New Guinea Charter on True North this coming November 2019. Does Latitude 33 have any alliances or preferred agreements with Australian retail networks, or do you prefer to work independently? At this point we have no preferred agreements, however, we are in discussions with a couple of large operators. What’s next for Latitude 33 Travel? Could you see the brand expanding and establishing offices abroad? Not in the foreseeable future but one never knows what can happen. Final question, and LATTE’s signature question: where is your favourite coffee shop? The Donut Shop on Level 6 in the MLC building in Sydney – very friendly service.